I have recently updated to iOS 9.2.1, and now my Google Calendar isn't syncing anymore. If I add event on my desktop (Google Calendar App inside my browser), events are added and synced to my iPhone, but if I add event inside my Calendar app on iPhone, events are never synced to my Google Calendar, they only exists on my iPhone. I have tried to restart phone, and reset network settings, but without luck. 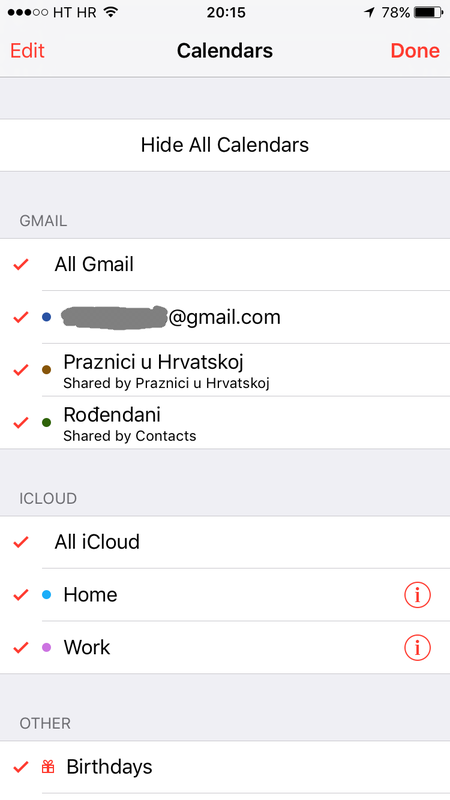 EDIT: I have also noticed red exclamation sign on iCloud calendars, maybe is this issue? Guess it has something to do with latest iOS update, removing account(s) which have shared calendars solve my problem. Not the answer you're looking for? Browse other questions tagged iphone ios calendar google-calendar .